Oklahoma City-The Kirkpatrick Family Fund has awarded OKC Metro Alliance, Inc. $10,000 for a nutrition program. The Project seeks to improve the health and wellness of program participants. 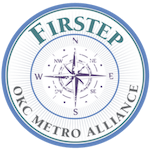 OKC Metro Alliance operates the Firstep Men’s and Women’s Residential Recovery Programs near Lake Stanley Draper in Oklahoma City. Approximately 11,000 meals are prepared and served each month. The project will teach food preparation skills and menu planning. Improving diet and nutrition can reduce relapse for individuals recovering from alcoholism and addiction. OKC Metro Alliance, Inc. has provided alternatives to incarceration for the past 42 years for individuals with substance abuse and addiction. The program is funded primarily through partnerships with community employers, the City of Oklahoma City, and private foundations and donors. The nonprofit also accepts donations of clothing, furniture, linens, cosmetics and personal hygiene products for their clients. On their website, visitors can find wish lists for both the women and the men in the programs. The women’s program even accepts plants and plant products as they have a greenhouse in the facility. Community, rehabilitation and recovery are the priorities of the Firstep program. The program has given hundreds of men and women the tools they need to successfully rebuild their lives and has given them a safe place to receive the support they need. Thanks to this grant, OKC Metro Alliance, Inc. will be able to see many more recoveries and success stories from the people of Oklahoma City. Their motto – providing hope, dignity and care for those choosing to recover from substance abuse, one day at a time – is manifested in what they do each day. Firstep is a six-month voluntary recovery program with a work training component. Residents are not charged fees. Individuals interested in participating in the program can contact Women’s Firstep at 405-794-2834, or Men’s Firstep 405-799-7540.